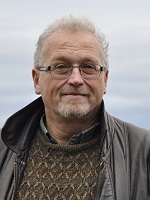 Bohdan Hrynewych is a licensed clinical social worker with more than 30 years of experience as a therapist. Mr. Hrynewych (also known as “Bo”) was the coordinator of adolescent dual diagnosis treatment at Duke Hospital and later the clinical director of the Duke Addictions Program between 1991 and 2000. He has extensive training in family therapy, group therapy, and addictions treatment, and is a well-known trainer for mental health and substance abuse professionals. In his practice he sees adults and adolescents with ADD/ ADHD, autistic spectrum disorders, anxiety, mood disorders, substance abuse issues, and problems in their family relationships. He specializes in working with young people, ages 18-30, and their families. He also offers groups for young people, high school age through early 30s, who are having difficulty with social relationships and achieving independence due to ADHD/ ADD, autistic spectrum disorders, and/or severe anxiety. Mr. Hrynewych uses cognitive behavioral therapy, hypnosis, mind-body interventions, social awareness education, competence based family therapy, self-psychology, and positive psychology in his therapeutic work. Mr. Hrynewych founded and directs the LAUNCHING Program for Emerging Adults that has groups at HRC in both the Chapel Hill and Raleigh locations. Additional information can be found at –www.launching.center. For a description of Mr. Hrynewych's young adult groups, please visit the LAUNCHING Program for Emerging Adults page.